This entry was posted in Reports and tagged fishing report on April 13, 2019 by admin. Not much to report because we have been closed since March 11. No fishing….No pics of trophy fish. Winter just will not end this year. Cold weather and snow coupled with Denver Water shutting off Roberts Tunnel has made for more ice than water. 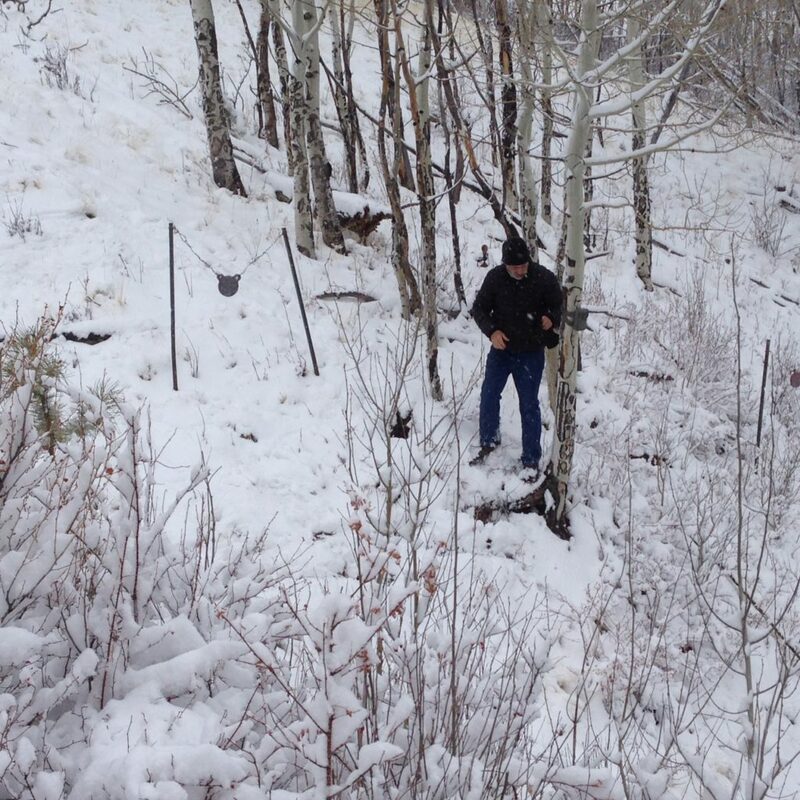 Here we are on April 10, setting up a trail cam hoping to get a pic of a Sasquatch. There have been 2 reported sightings within 1/2 mile of Boxwood. The most recent, happened right across from our gate on Hwy 285. Stay tuned on our Instagram and Facebook link for more information as it develops. We are optimistic about opening again on May 1…..assuming the weather cooperates.